In recent years, vaping has come on strong – especially in the form of cannabis vape cartridges. Consumer demand is on the rise while tech advancements seemingly come about all the time. In just a few years, vaping concentrates has gone from a fringe consumption method to the mainstream. The wide world of vape pens and cartridges are only going to get wider in the years to come. In major and developing markets, innovative cartridges and brands are on the rise. Here are some of the top names in major markets. California’s cannabis industry has seen some pretty great progression since legalization went into effect. 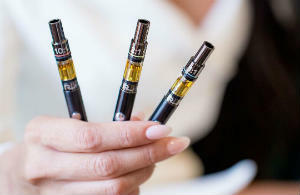 Despite the fact that overall marijuana sales have fallen short of expectations, vape pens and cartridges are a hot commodity in the Golden State. Santa Rosa’s AbsoluteXtracts is one of the premier names in California. The brand uses a CO2 extraction process for its concentrates to ensure that all products are free of additives, dilution agents, synthetic flavors and pesticides. 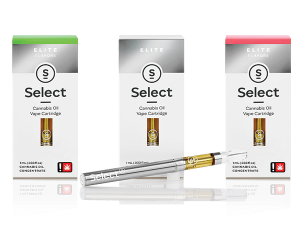 Select is a line that “makes stuff stoners like.” Its Elite distillate line touts itself as a pure and potent product that stands out in today’s uncertain marketplace. Select’s products are all-natural and come from single-strain cannabis terpenes. As one of California’s top selling cannabis vape cartridges, it’s safe to say that stoners are definitely liking what Select has to offer. Bloom Farms' vape line is fashion forward and health conscious. 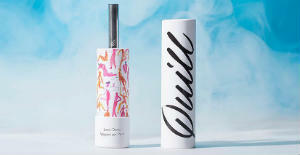 Its Highlighter collection is touted as a discreet choice. More so, it uses only "pure, all-natural cannabis oil" with a THC potency around 50-70%. Those looking for quality while not being blown away by potency should consider Bloom Farms. 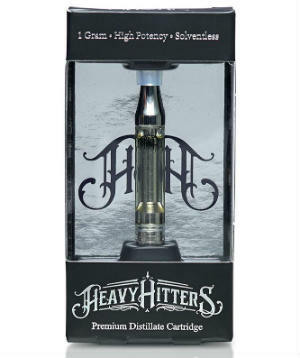 Heavy Hitters is a brand known for living up to its name and consumers looking for a significant bang for their buck often turn to their vape cartridges. In addition to potency, the brand touts its quality. Using a signature cold-filtering distillation process, Heavy Hitters provides an oil "beyond standard distillation, resulting in a consistent, ultra-potent cannabis oil, and the purest, best-tasting experience." 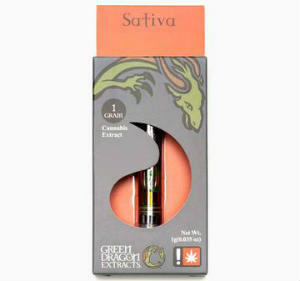 Plus, they offer a hefty one gram cartridge that’s both long-lasting and flavorful. Each of Rove's products contain just one ingredient – in-state flower. 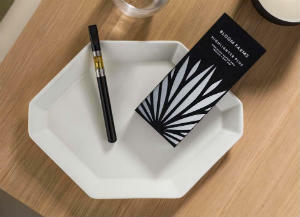 Containing only yields from the farm on its box, Rove’s vape cartridges aim to give consumers "high potency, single source, whole plant extracted cannabis oil with its original full spectrum terpenes from our state’s top growers." Colorado cannabis consumers love their vape pens and more and more people are purchasing them on a daily basis. Sales for vape cartridges in Colorado have been on the rise for several years now, resulting in over 25% market share for the popular products. It seems there are new vape brands on the shelves of Colorado dispensaries every time you visit, but the following are proven to be some of the best in the state. Green Dot Labs believes in the "quality in, quality out" approach to making products. These ethos have won the company numerous awards for its concentrates that serve both medicinal and recreational users. Green Dot’s Full Spectrum Extract cartridges embody the brand's vision with over 150 unique and exciting strains to choose from. Each cartridge provides the consumer with robust flavor and an experience similar to that of traditional dabbing. Even better? These pens are 100% additive free and contain only uncut live resin extracted from whole cannabis plants. If you’re a fan of flavorful, full-bodied experiences, then Green Dot is the vape cartridge for you. Apothecary Farms is Colorado's first concentrate focused dispensary, selling their concentrates under the brand Apothecary Extracts. 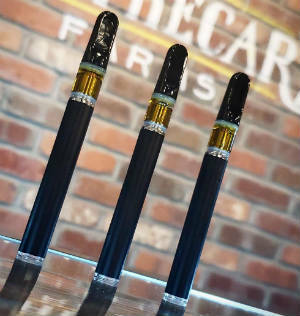 The brand produces additive-free vape cartridges, shatter, waxes and the company’s flagship product, Ambrosia, all from its processing location in Colorado Springs. Apothecary Extracts’ ensures customers that products are "natural, cannabinoid rich, quality concentrates at an affordable price." Dablogic swears by only one solvent to make their concentrates: water. Dablogic recently released the first fully solventless vape pen, providing consumers a chemical-free experience that comes exclusively from Verde Natural's crops. Infinite Infusions’ line of live resin cartridges, sold exclusively at Ascend Cannabis Co, offers up aromatic-rich hits every time. 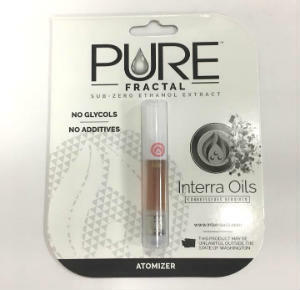 Using a hydrocarbon extraction process, Infinite Infusions introduces zero additives or cutting agents into its ceramic, wickless CCell vape cartridges – just pure, potent live resin. 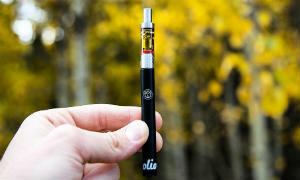 Denver's Olio aims to deliver taste and quality in cartridge form. Their “sauce pens” achieve this goal by using a high-terpene layer of extract combined with Olio's triple distilled cannabis oil for a natural, flavorful experience. Although the state is currently dealing with a flower overproduction problem, consumers in Oregon have proven their interest in vape cartridges. There are some really great brands operating out of Oregon, here are some of our favorites. 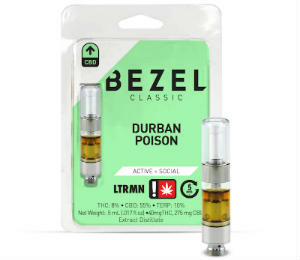 Bezel's vape cartridges provide users with "effect-based extracts" that are consistent and straightforward. Using a proprietary six-step distillation process, Bezel vape cartridges contain natural, organic and non-GMO cannabis oil. Bezels come in Classic, featuring iconic strains, and Blend which feature some interesting blends. Green Dragon Extracts work exclusively with local cultivators. Their full spectrum cartridges are rich in terpenes and come from meticulous CO2 extraction. 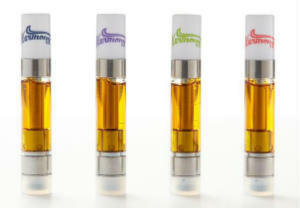 The company offers vape cartridges in full spectrum, distillate and heavy CBD varieties. Quill is one of Oregon’s most well-known cartridge producers. The recyclable, all-in-one vape comes straight from the strain and is rich in terpenes. With no artificial flavors or adulterants, Quill ensures that there is nothing fake about their product line. 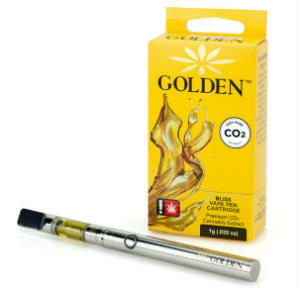 Golden offers premium products in both cartridge and pre-roll forms. Some of its cartridges include Golden CO2 and Gold Label Reserve. With Golden CO2, the oil is extracted from "unadulterated, small batch, and single-source strains for the most authentic strain specific experience." And while terpenes are reintroduced into Golden vape cartridges, they are cold-captured from the cannabis plant to ensure both flavor and effect. The Evergreen State's cannabis culture has developed significantly over the years, culminating in an industry with a wide assortment of products that are on the forefront of innovation. Despite the fact that some experts believe cannabis might plateau in 2019, there is still a strong demand for vape cartridges and plenty of options to choose from. 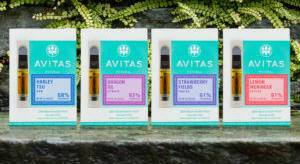 Avitas provides consumers with clean and discreet ways to vape. Using CO2 extraction, Avitas cartridges are full-spectrum and completely natural, capturing all the cannabinoids and terpenes that make-up a strain's complete traits. Harmony Farms believes in using only pure CO2 to extract their concentrates – keeping their extracts free of any hydrocarbons. Using strain specific batches, each Harmony Farms cartridge is as pure as it can be. By using a cold filtration distillation process, Harmony Farms removes all waxes and impurities from its oils. As such, it claims to have the lowest failure rate in the industry. Seattle’s Interra Oils believes that "The quality of the process is just as important as the quality of the product." To stand apart from the pack, Interra relies on long-standing relationships with its growers to ensure that no chemicals or pesticides are used during cultivation. To make its products, the company uses supercritical CO2 and organic alcohol to create its refined oil. 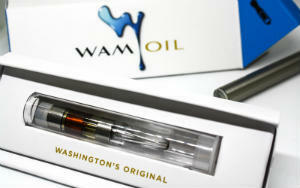 WAM Oil calls themselves "Washington's Original." Its strain specific cartridges are 100% refined and CO2 extracted. The company does this to offer the market a natural form of cannabis oil. 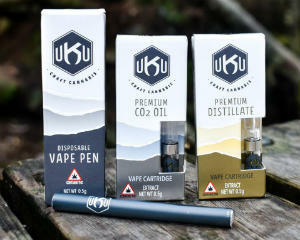 Several brands have operations in multiple states, offering their lines of vape cartridge to a number of markets at once. UKU uses cutting-edge technology while following environmentally conscious practices to provide consumers with a consistent, quality experience. 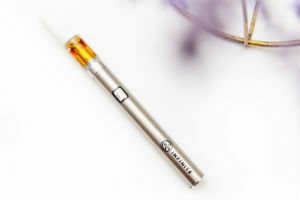 Its CO2 and distillate cartridges come from the highest-grade flower. Meanwhile, its oils are rich in cannabinoids and terpenes while offering the full spectrum benefits of the cannabis plant. UKU can currently be found in Massachusetts and Oregon, with Arizona, Maryland and Nevada coming soon. Did we miss any of your favorite vape pens in our guide? Let us know in the comments below!